I found this book buried deep on my craft bookshelf this weekend--I picked it up at a yard sale last year and completely forgot about it! 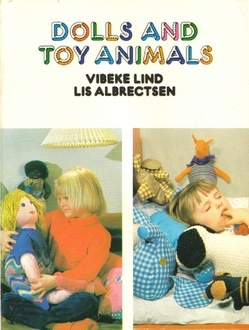 It's Dolls and Toy Animals-- a Danish book published in 1973. 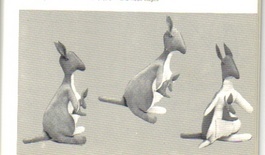 The directions in here are very clear, and I just love the style of the dolls and animals. 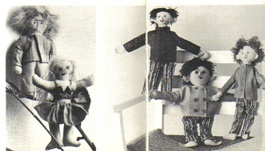 Here are a few of my favorites--I hope they appear clear, the book is black and white and a tiny bit grainy. 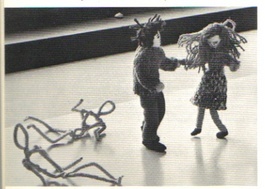 Knitted Dolls. 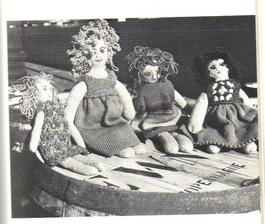 Check out this caption in the book: "These four knitted dolls have obviously been out on a spree and are waiting on a barrel for the hangover to wear off".